The Cover home was built in 1962. 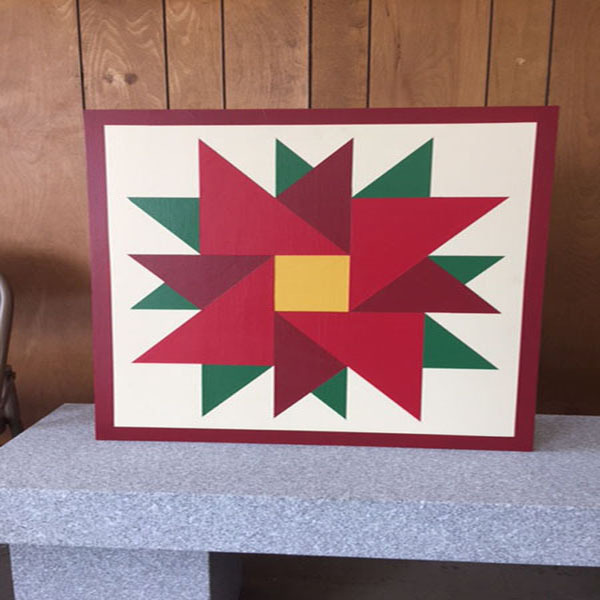 The barn quilt has added a colorful design to the garage. Sally taught math at McConnellsburg High School. When the geometry unit was finished with the 8th graders, a string art geometric project was done by the students. It was always amazing to see the finished work. Seeing this barn quilt brings back memories of school days.